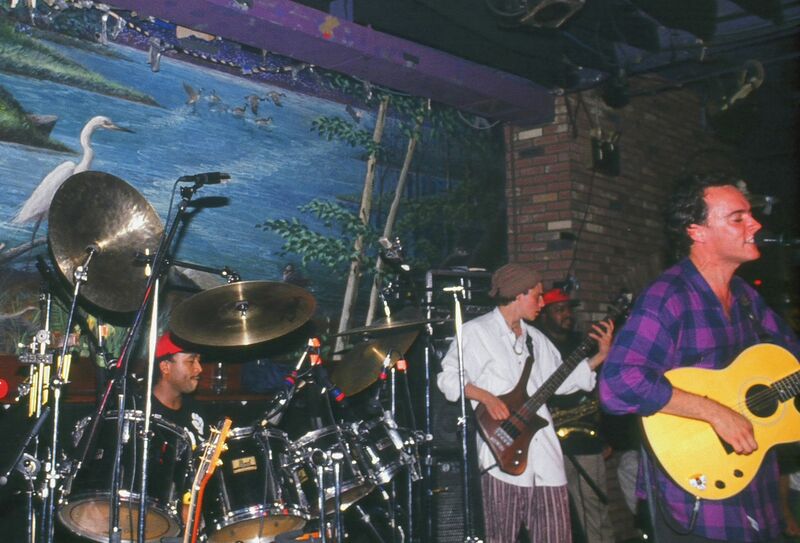 From Valentine’s Day, 1989 to September 10, 2001, music and politics coexisted in the unlikely utopia that was New York City’s Wetlands Preserved nightclub, a makeshift commune where the band was always on equal footing as the audience and one need only circulate the downstairs lounge spot to snag a good high. Like virtually every other documentary of the past five years, Wetlands Preserved follows a traditionally linear structure, incorporating interview footage and live performances as it traces the conception, development, and success of the club before its demise in the midst of Rudy Giuliani’s “quality of life” enforcement, the assured nature of its storytelling rendering the typicality of its narrative obvious only in retrospect. The film may fail to mix things up in the same way as the club whose moniker it shares, but Dean Budnick’s nostalgic doc never wants for feeling or a sense of purpose as it examines not simply how this niche in the New York nightlife came to pass, but what it represented and how its presence has since affected the world. Attacking corporate villainy against the environment even while attracting headliners such as the Spin Doctors and Blues Traveler, the club practiced what it preached in ways both big and small, encouraging bands to play longer sets (many going until four and five o’clock in the morning) and using only eco-friendly products for their daily necessities. Wetlands Preserved understands the unifying power of music-as-activism (especially when removed from the hold of corporate greed), animating its musical sequences with a charged psychedelic flair that proves as visually inventive as it is spiritually soothing (the excellence of these clips practically demands that the film’s animators go into the music video business). Though the closing of the club (incidentally coinciding with the attacks on the World Trade Center) proves an inescapably bittersweet climax, the lingering feeling of the film is one of infectious motivation.